My family loves to eat out. There are a number of reasons for this, but the main one is that I would be very content if I never again had to cook another meal in my kitchen. Selecting meals for my family of four off of a restaurant menu alleviates having to deal with food aversions, picky eating, grocery store panic attacks and disastrous home-cooked meals. I really DISLIKE cooking. So we eat out as often as it feels like good parents can get away with. Still, eating out can present its own family challenges. The setting: A beautiful afternoon on the patio at one of our favorite spots to watch sports on the multiple TVs provided. Glasses of water are delivered to the table and the server gets ready to place four straws on the table. I say, “We would like to forgo the straws today, please.” My kids are mortified by this. At 13 and 15, they are already embarrassed when I chat up store clerks or ask restaurant servers questions about the menu. They are well aware that the social norm is to accept the straws, and their thinking is, if you don’t want to use them, just don’t. But . . . you know those straws will still likely end up in the trash when the table is cleared. Their first argument: It is more sanitary to use a straw then to drink out of the glass. Really? If we are fearful that germs are all over that glass, then we should not be dining in this restaurant in the first place. Would you insist that the utensils and plates be wrapped in plastic, too? I shut this down pretty quickly. Their next argument: We are only four people refusing four little pieces of plastic. What difference could it possibly make for us to stop using straws? In response to this, I have to be more convincing. My counter-argument: Have you read about the crisis of plastics in our oceans? Have you ever seen a photo of a dead ocean creature’s stomach after ingesting plastic? A quick internet search on plastic in the ocean and you will see what I am talking about. For example: https://oceanconservancy.org/blog/2016/11/28/preventing-marine-debris-one-straw-at-a-time/. So, what this boils down to is my family of four and our choices, day in and day out. Maybe a 4th grade math word problem will convince them. “A family of 4 eats out three times a week for a year. How many pieces of single-use plastic will be used just to drink a beverage?” 4x3x52=624. Yes, that is 624 pieces of non-recyclable, single-use plastic that often ends up in the world’s waterways. Why does this matter? 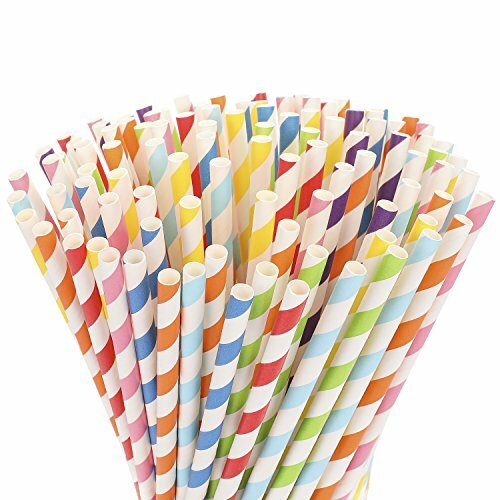 Here is the bonus question: “If a family of 4 disposes of 624 straws a year, how many straws are thrown away by the Town of Cary’s 160,000+ residents every year?” That’s right, a whole lot, kids!! Teaching kids what the new social norm should look like is worthwhile and is a great lesson in “supply and demand”. 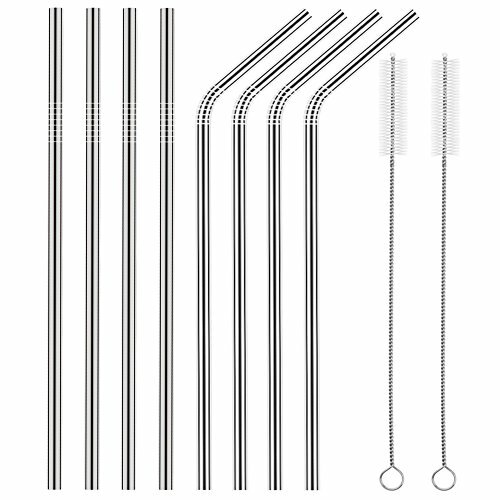 Saying “no thank you” to straws in restaurants might start a trend of servers asking if you would like a straw instead of automatically placing one in your glass or on your table. When that day comes, I won’t have to be the embarrassing mom who rebelliously sends them back. Greenish Neighbor is a participant in the Amazon Services LLC Associates Program, an affiliate advertising program designed to provide a means for sites to earn advertising fees by advertising and linking to Amazon.com. This page may contain affiliate links.